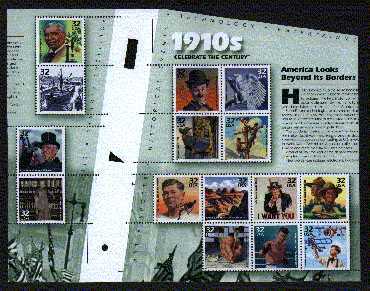 The Celebrate the Century (CTC) set was offered in Press Sheets that are not easily included in normal stamp albums because of their size. Stamp dealers now offer specially cut Cross Gutter Blocks that will fit on most album pages and include all fifteen stamps from the sheet. There are no cut stamps and there are margins around all stamps. Because of the sheet design, the cross gutter block of 15 appears in one of two positions. 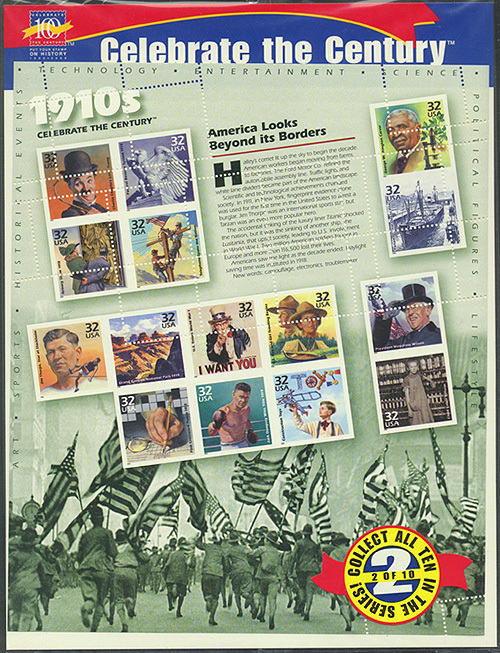 Since this is an after market alteration of the original press sheet issue, cross gutter blocks of this issue must be considered a philatelic oddity. Linn's Stamp News has reported the "First known Celebrate errors found" in an article by Michael Baadke. 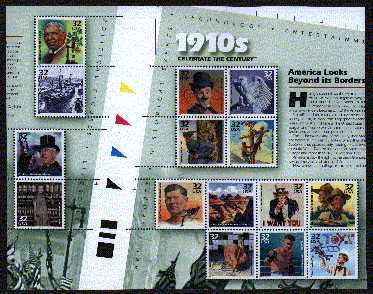 A complete pane of the "Celebrate the Century 1910" series was discovered with the vertical and horizontal perforations off alignment. Five of the stamps are imperforate. The "Scouting Begins" stamp misperf is classified as a "freak" or variety. At least three other panes might exist from the same sheet with similar errors.